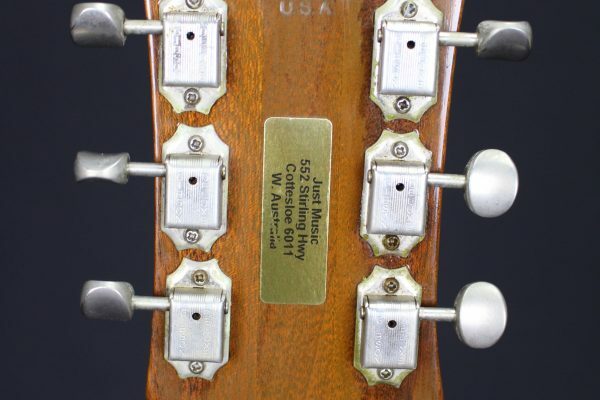 SKU: 249/10. 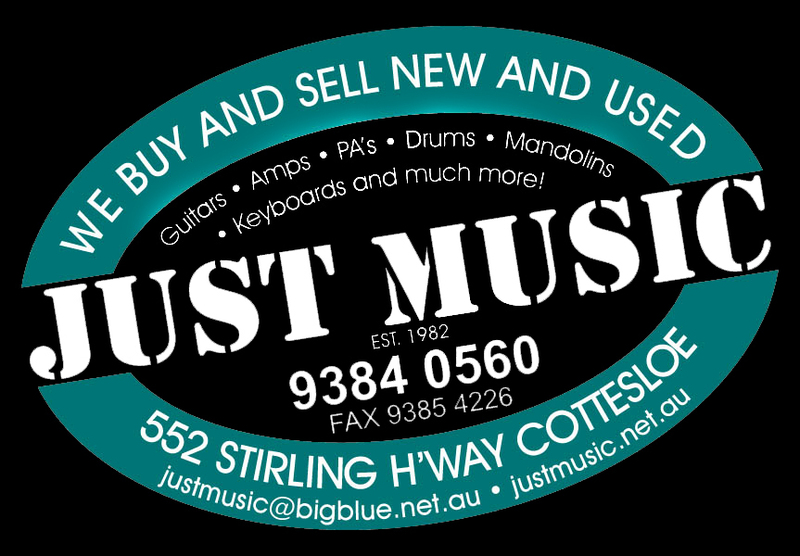 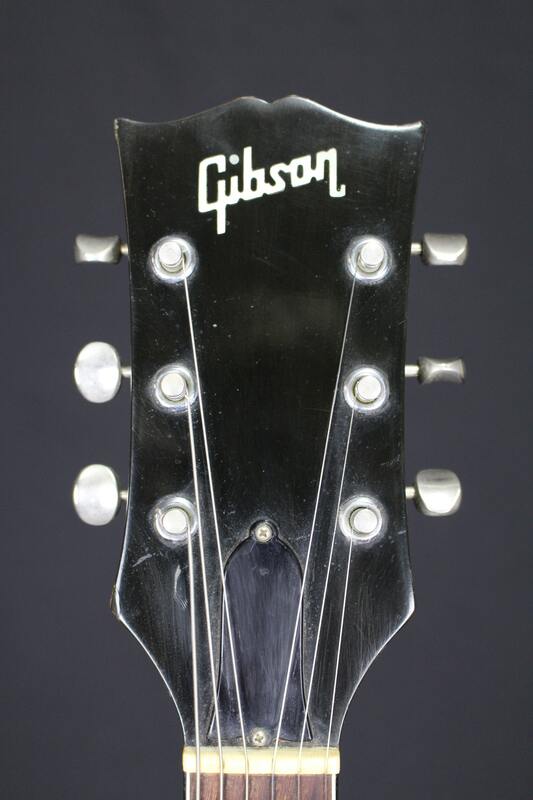 Categories: Electric Guitars, Gibson, Vintage Guitars. 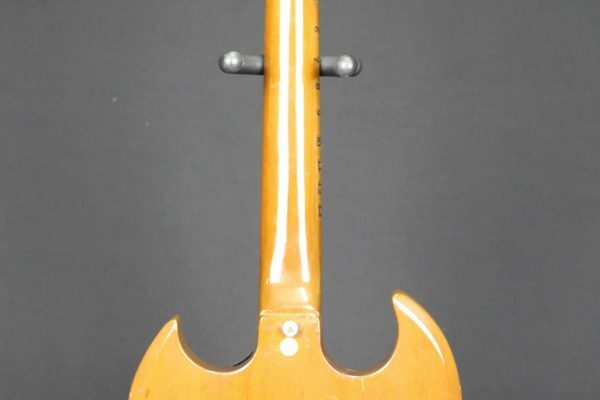 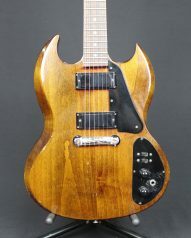 Tags: 1971, electric, gibson, SG, sg pro, U.S.A, vintage. 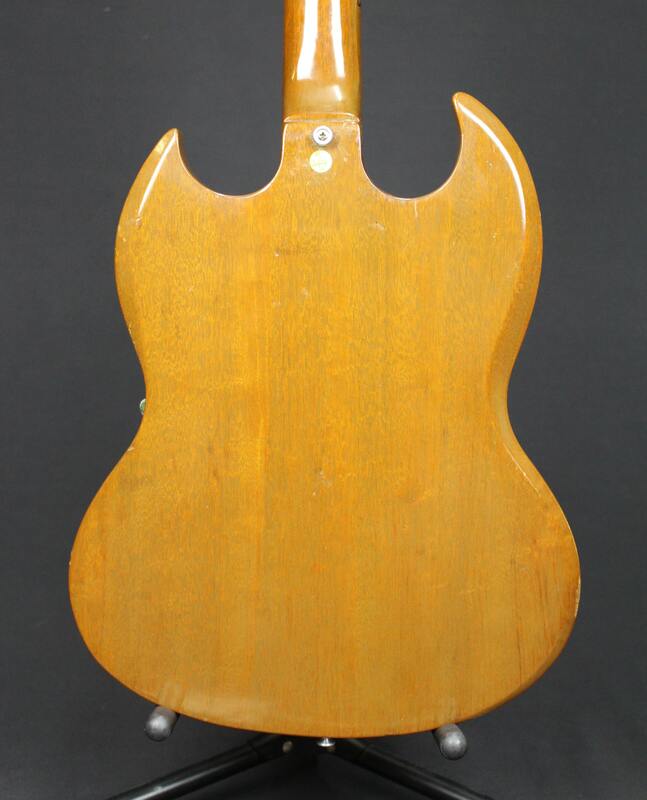 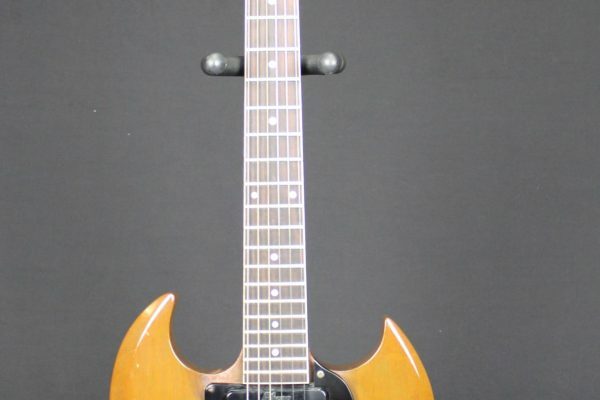 This fairly uncommon model was only available from 1970-72 and was the little brother of the SG Deluxe (humbucker equipped). 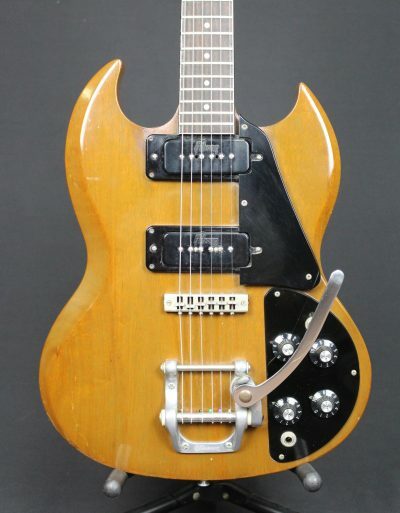 Essentially an SG Special with top mounted electronics, Les Paul-style pickguard, and Gibson-branded Bigsby B5 vibrato unit, the Pro is a unique model and simply a ton of fun to play. 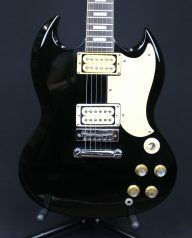 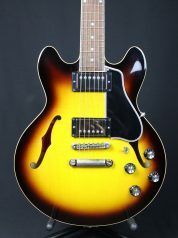 The rare molded pickup covers each feature the Gibson logo, and the instrument has a pair of hum canceling P-100 pickups. 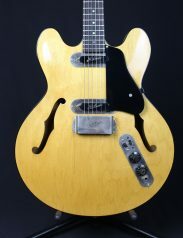 Essentially a P-90 with an extra coil, these pickups still have plenty of growl, midrange smoothness and top end snap, but without the hum that accompanies a traditional single coil.
. 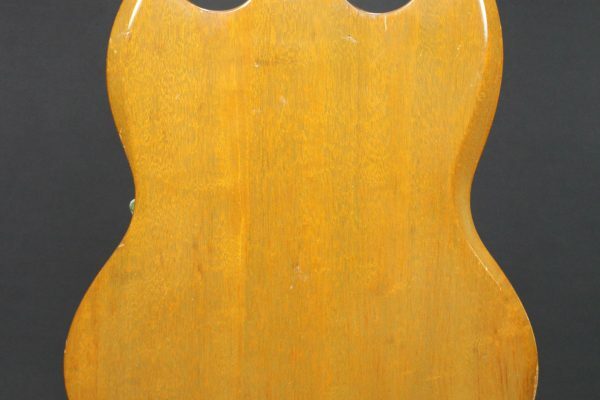 The guitar still has a bit of its original Cherry color, although it has mostly aged to a rich reddish shade of Walnut. 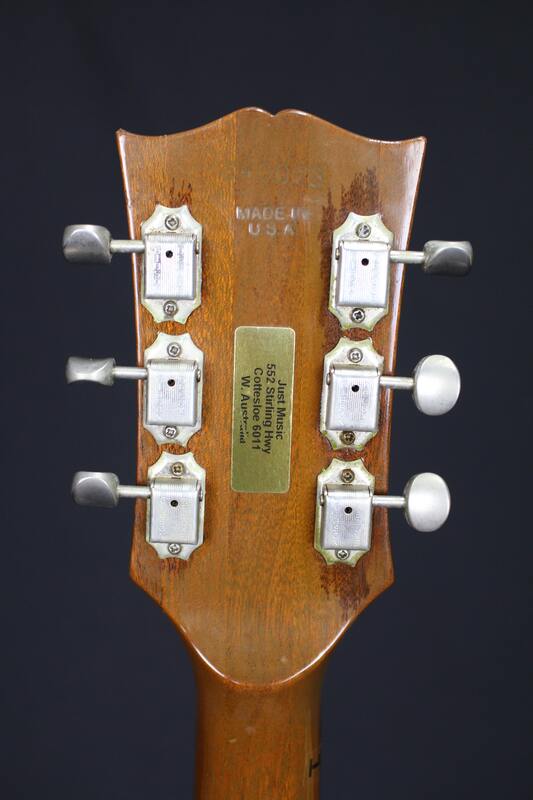 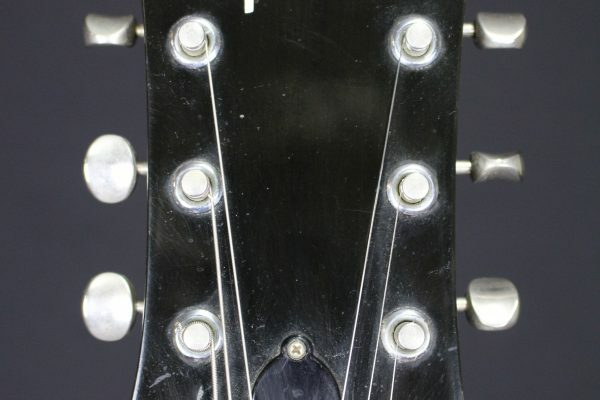 Cosmetic flaws that are consistent with a guitar of this vintage but it just adds character.